At Agilent we are committed to sustainability in our products, our operational practices and support of our employee teams. Our mission is to "improve the human condition" and we believe sustainability is an important part of meeting our mission. All of our actions are based on our long-standing values, and achieved with uncompromising integrity. Our culture includes respect for the contributions of every employee in our global workforce. We support the communities in which we live and work, and encourage employees to share their time and talents in their communities. Agilent Technologies is committed to conducting business in an ethical, socially responsible and environmentally sustainable manner. Our Citizenship Objective is to be an economic, intellectual and social asset to each nation and community in which we operate. Agilent's Community Relations and Giving Programs and the Agilent Foundation are tangible examples of our commitment to exemplary Corporate Citizenship. Agilent's Corporate Citizenship commitment is consistent with our Environmental Health and Safety Policy and Human Rights and Labor Policy - all essential for continued business success. Agilent's ISO-14001 certified company-wide environmental management system is used to manage and drive continuous reduction of adverse environmental impacts. 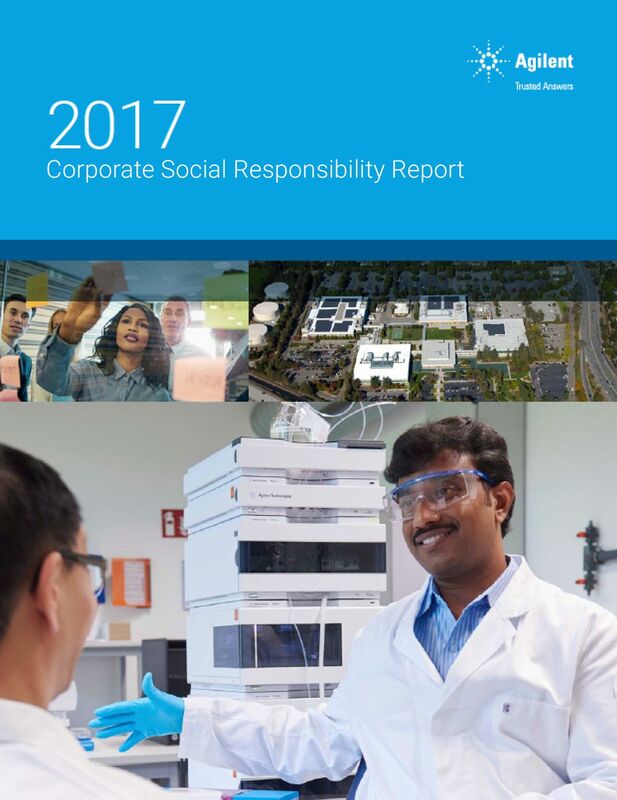 For information on Agilent's environmental and social responsibility commitments, performance and goals, view our Corporate Social Responsibility Report and ISO14001 Certificate. "ISO 26000 is a voluntary International Standard providing guidance on social responsibility. Agilent recognizes ISO 26000 as reference document that provides guidance on social responsibility. Agilent aligns with ISO 26000 standards as part of our social responsibility practices."